This product is designed exclusively for use with plastic strapping and does not require any tensioning or crimping equipment. 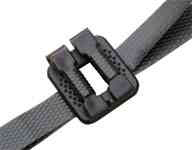 The strap is simply looped through the buckle and is tensioned by hand. This range of tough, durable corner protectors accommodate corner thicknesses of 18-70mm. These products may be used in conjunction with plastic or steel strapping, adhesive tapes, staples or even nails. 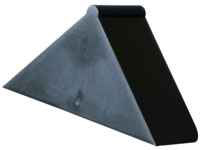 A tough, durable product offering excellent impact protection to corners. This protector may be used in conjunction with plastic or steel strapping, adhesive tapes, staples or even nails. For increased protection two products may be used on a single corner. 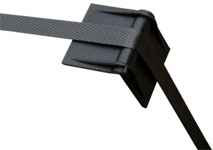 Used with steel or plastic strapping to protect vital edges from banding damage. 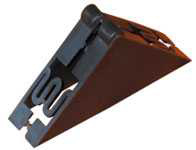 This product may also be used to protect the banding from being damaged by sharp edges. 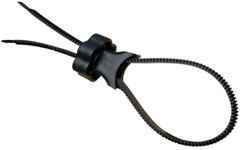 This unique fastener will secure a variety of different shaped objects. It has both industrial and domestic applications. The multiclip can provide up to 100Kg of securing force without the need for tools and is adjustable to fit diameters of between 10-100mm. Larger diameters can be accommodated by joining a number of these clips together.